The Northampton Jazz Festival is honored to present Paquito D’Rivera and The Paquito D’Rivera Quintet October 20th, 2018 7:30 PM at the Academy of Music, Northampton, Massachusetts. There are few jazz artists with the high honor of one-name recognition – Louis, Miles, Dexter, Sonny - you get the drift. Paquito D’Rivera has that first name recognition status not only in Jazz, but also the Latin Jazz and Classical worlds. 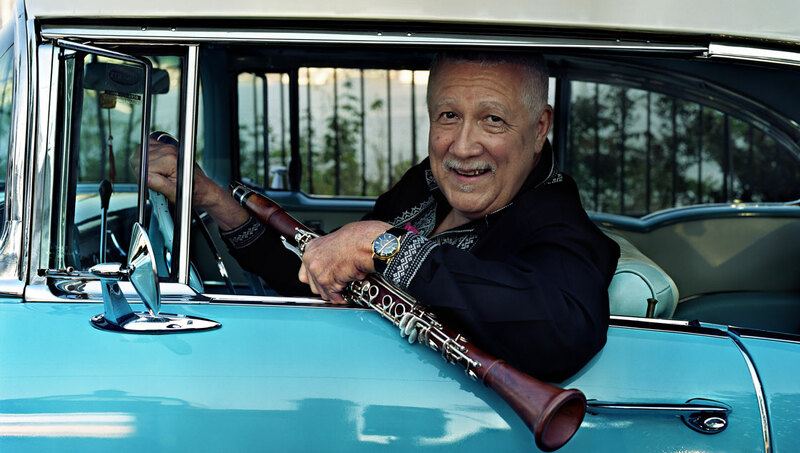 Paquito D'Rivera defies categorization. The winner of 14 GRAMMY Awards, he is celebrated both for his artistry in Latin jazz and his achievements as a classical composer. In addition he is the author of two books, My Sax Life and Oh, La Habana. Born in Havana, Cuba, he performed at age 10 with the National Theater Orchestra, studied at the Havana Conservatory of Music and, at 17, became a featured soloist with the Cuban National Symphony. As a founding member of the Orquesta Cubana de Musica Moderna, he directed that group for two years, while at the same time playing both the clarinet and saxophone with the Cuban National Symphony Orchestra. His numerous recordings include more than 30 solo albums. In 1988, he was a founding member of the United Nation Orchestra, a GRAMMY winning (1991), 15-piece ensemble organized by Dizzy Gillespie to showcase the fusion of Latin and Caribbean influences with jazz.